What she was saying is that I didn't have to stand in own shadow. I could stand in my light. I could be a source of light. Whereever I go, there I am. Whereever you go, there are. So you can go on blaming, complaining and wondering or you can breathe deep, step forward in your life and find out for yourself. What Is Sacred To You? This work we do on the mat to connect to the space inbetween the inhale and exhale, it gives us room to land with presence off the mat. It asks us to love beyond fear and walk in balance with each passing sun. When we awaken to know this 'illusion of separateness ' with eachbreath we take, we also awaken compassion and we create the capacity to step into diversity and interdependence. We are able to hold space for not knowing and experience life without adding any labels, storylines, or expectations. This amazing group of Moksha/Modo teachers rocking' our Live-2-Learn Pillar. Thank you Moksha Yoga Brantford and Moksha Yoga Cambridge for putting this together and having me out. 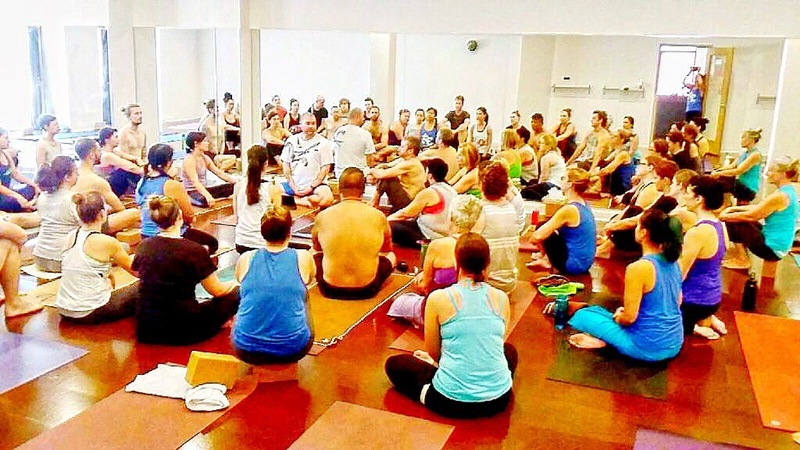 This was a special week of teaching, I got to hit the road and tour my Dharma Flow Yoga class and also work with a group of 40 Moksha teachers on Intention setting. After vibin’ on intentions I then had the privilege of guiding this amazing group of instructors. It was exciting, nerve racking and incredibly humbling. What intention do you share with a group of teachers who just did a 3 hour intention setting workshop? No joke, I was feeling the pressure, but like Big Daddy Kane I don't half-step. We dropped a strong one and it set us up for some powerful sweating. For some instructors, taking on Intention Setting for their yoga classes is really really hard. As in it is not something they are use to and it can make even a seasoned teacher feel uncomfortable. 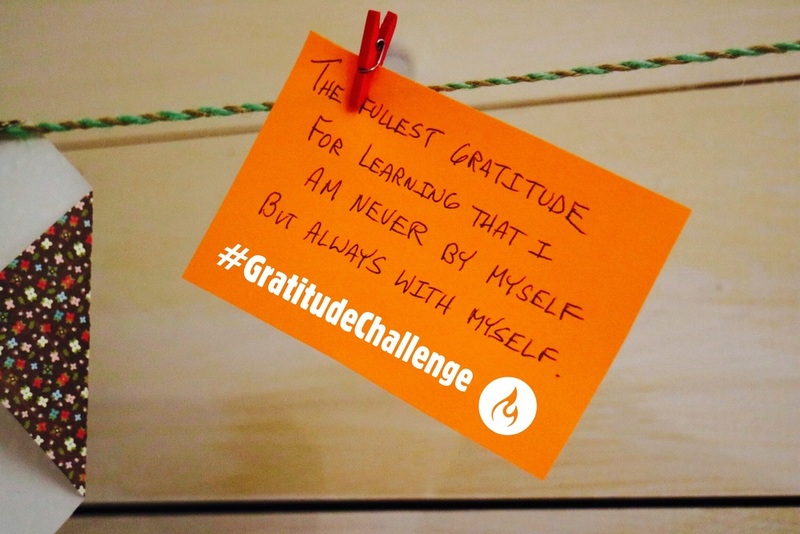 I wanted to connect to that challenge and let the practice remind us of our ability to grow, & create change, not just react or respond to it. I can't grow if I can't change. Because in order to move forward and live my life to the fullest, in order to live my life loudly and create a legacy I need to change. I need to Grow. More then this, I want to grow. With our breath and with our movement we honoured the simple truth that is "impermanence". Nothing stays the same. Everything falls apart. With yoga practice we can embrace this truth and be an empowering part of change. We can see that fallingapart is okay, and, we can practice getting back up over and over again. With our breath and movement, and with our rooting lets remind ourselves that we can be the change. I love the line Emma says, "in order to live my life loudly & create a legacy I need to change." Next time you step on your mat, take a moment and imagine that your class that day is one chapter in your biography. One full chapter. Be fully awake to creating your legacy. What would this chapter say about your life? Try it, next time you practice, take that 60 minutes and allow it to be a part of your legacy. This is powerful work. Your boy Ghandi dropped it legit, “BE the change you want to see.” Change happens every moment. You are not the same person you were yesterday. You had a full day of experiences and ’things’ that happened. Naturally shifts take place. Taking our practice off the mat, we can be mindful with each step we take in a day. One translation of mindfulness is ‘to remember’. We can remember that we can not just wait for change, but we can CREATE SHIFTS that wake us up, shifts that challenge us and shifts that create a legacy of kindness, peace, and strength. Been away this past week. Took my daughter to LA for some summer fun. I always get inspired when I travel, and I had so many new intentions twirling in my head. On the flight home (love wifi on planes) I landed on my friend Amelia’s Instagram account. She is powerful young woman who used her pain to create something beautiful. She got to hold her son Landon for 17 hours before he passed away after being born. She IS a mom, an amazing mom. As she started to open up about her pain, more women who went through the same thing started to find her on Instagram. Last week she held a yoga/healing retreat called Landon’s Legacy Retreat. IF you’re on IG, search the hashtag #LandonsLegacyRetreat and be prepared to be lifted by these women’s courage. One post shared this quote that I used as an intention last night’s 4:30pm Modo 60 and today’s 9:30am Modo 60 and noon’s Modo Flow. Keep on beginning and failing... Each time you fail, start all over again, and you will grow stronger until you have accomplished a purpose - not the one you began with perhaps, but one you'll be glad to remember. I started by reading the above. I told the students that today will focus on this idea of STARTING OVER. This is one of the key lessons the BREATH teaches us. Every inhale is a chance to start over. New moment. Fresh perspective. In a set sequence as Modo is, each pose we will start over. A new practice in each posture. Let’s make it a class you’ll be glad to remember. When the pose gets challenging and you want to come out of it and your mind starts telling stories, take an inhale and start over right where you are in the pose. Allow the breath to remind you that you don’t need to come out of the pose. Not your thoughts… your breath. Starting over is about returning to the present moment. The opportunity of the present moment is always yours. Its always right there on your next inhale. On our life off the mat, this is even more powerful. You can start over. One of my favorite Zen Proverbs drops like this, “Fall down 7 times get up 8 times.” We will stumble in life, this is universal. But we can have within us the ability to start over so in Zen the 8th time is really the first time. Amazing things happen with effort. I love this part, "Each time you fail, start all over again, and you will grow stronger until you have accomplished a purpose - not the one you began with perhaps, but one you'll be glad to remember.” You will grow stronger. And the next time we fall down we have new strength to rise back up and meet our moments. Let’s keep practicing and live a life we’ll be glad to remember. Today we had an awesome mix from one of my fav Dj's Jazzcat. The Afro Beat was so energizing for our Modo Flow today. This is Guante performing live at one of my Dharma Hip Hop Yoga classes. This one was hosted at the Southern Theatre to raise money for this dope little theatre in Minneapolis. It's been a minute for sure, I got behind here, this intention was from a class I taught a few days ago, but here it is. We had a dope class with a #FILTHY playlist. Stream the full set, there are some durrteeeeee tracks on this one. "The Great Way is not difficult for those who have no preferences." Preferences come up a lot in practice. Especially when we are dropping sick tunes. Sometimes our preferences come in the form of comparison. Other times it sounds like, "I want..." In either case, when we dip into preference we remove ourselves from practice and we make things more difficult for ourselves. When our thoughts go to, "I would prefer not to hold this pose this long" we get out of the full experience of the pose. So the practice is to return to the next inhale. Soften our jaw, relaxing our gaze and then allowing the exhale to deepen the pose, deepen the effort. Some postures are tough man, but I suspect you probably wouldn't come if it was so easy. The challenge of it can wake us up to the present experience. Stay with it. When you add preference, you make things more difficult. You start building walls around the experience. The proverb speaks to our life off the mat as well. When it says "the great way" it's speaking to a path that is full of presence and empty of comparison. This experience as it is. When your are challenged at work...this experience as it is. Don't remove yourself. When you are challenged in your relationship...this experience as it is. Don't remove yourself. When you reach a goal...this experience as it is. Don't remove yourself. When you fall in love...this experience as it is. Don't remove yourself with preference. Mad love y'all. Enjoy the tunes. Some Common and J5 in here. As always, please share the intention vibes. Let's keep practicing on and off the mat together!